Home of yellow bridges and three rivers, Pittsburgh remains a site for all to see. 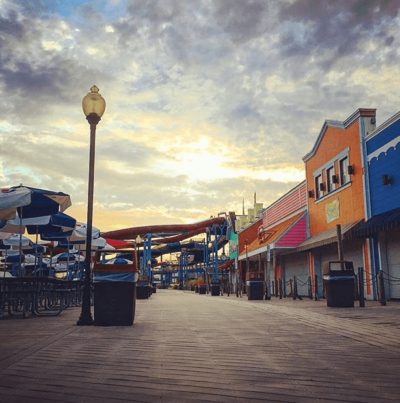 You will find some of the greatest restaurants and parks in the Keystone State. 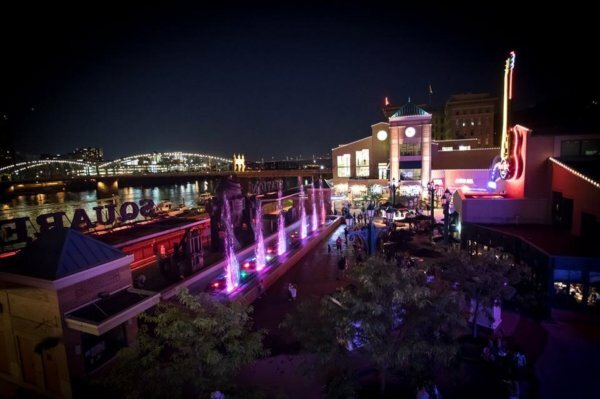 While Pittsburgh’s huge bar scene makes it a fun city for those who are legal, you will find plenty of places to go in the city where you don’t need to show your ID, and you’ll still have an awesome time. 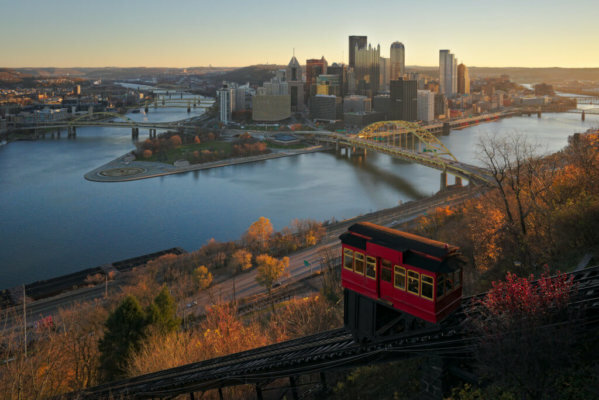 Whether you choose to go downtown or go up the incline, get ready to enjoy yourself in Pittsburgh. 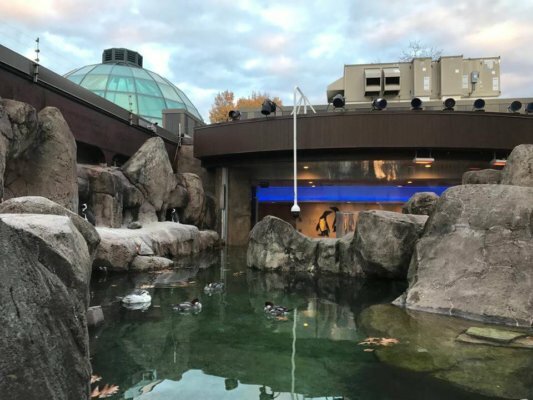 Check out these 21 things to do in Pittsburgh that don’t require alcohol that will surely steel your heart. Eating in your car? Kind of lonely. Eating out of someone else’s transportation? Weirdly hip. Food trucks travel to various spots around the city and they serve almost better food than stationery restaurants. Check out the newest addition to downtown Pittsburgh: the Pittsburgh Food Truck Park. 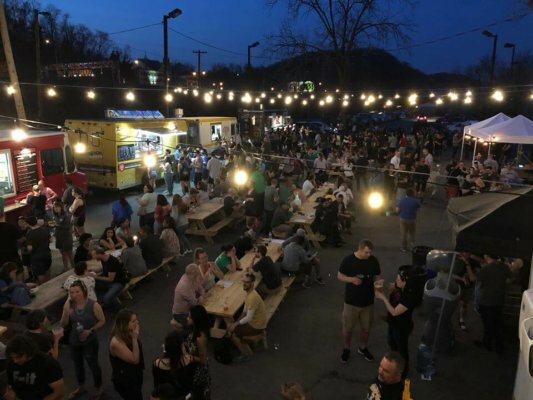 The park sits along the Allegheny River and offers a variety of food options from many different food trucks, including Chop Chop Salad, Zeke’s Coffee, Revival Chili, Hummus Pittsburgh and more. The park, still partially under construction, will feature a daily rotation of different food trucks, a performance venue, an event space and a game yard after its completion. Make a splash during your time in Pittsburgh at Sandcastle Water Park. You will find different water attractions for people of all ages. Along the Monongahela River, the park features 15 water slides and a lazy river, along with other water features. “There are so many slides and a huge wave pool,” Pittsburgh native Annamarie Castelli said. “It makes you feel like a little kid again, running up to all the water slides. When it’s hot outside, it’s the best place to be.” Pittsburgh gets pretty hot in the summer, so cool down at Sandcastle Water Park before continuing on your journey. Do you love Thai food and trust a good review on Yelp? Lucky for you, people rave about Noodlehead. The restaurant features street-market noodles and other bites, including a variety of noodle soups, spring rolls and dumplings on their menu. “A really cool restaurant is Noodlehead,” Pitt senior Tori Sweeney said. “It’s a Thai restaurant that’s super cheap. Many people consider it best in the city. Perfect for a college budget and the food is divine. 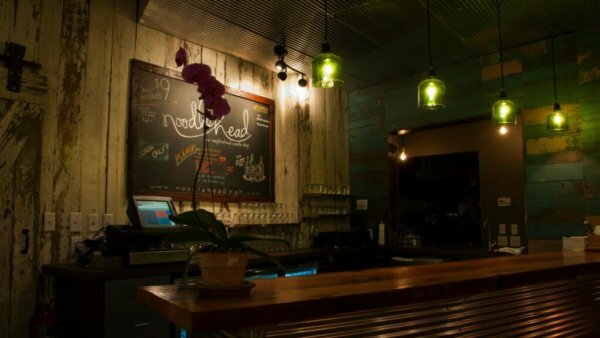 It’s my favorite place to go out and eat.” Your wallet and your taste buds will thank you for eating at Noodlehead. Do you love concerts but don’t want to spend a fortune on tickets? 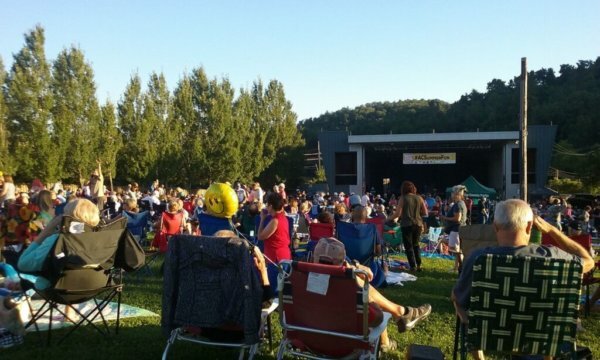 Break out the folding chairs and head to the South Park and Hartwood Acres Park Amphitheaters for some free music. 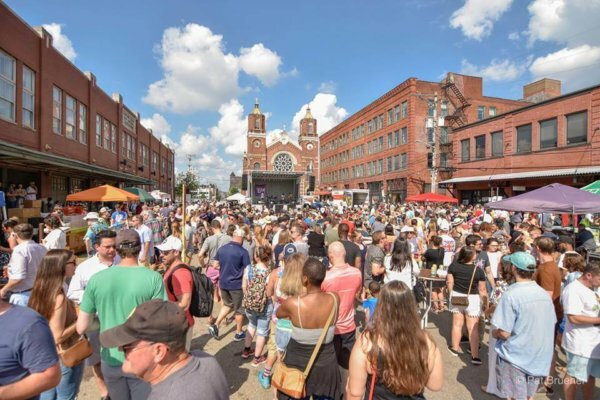 The Allegheny County Summer Concert Series takes place all throughout the summer and it offers free music to the Pittsburgh community. A variety of artists perform, including opera, blues, pop and more. Food trucks show up at the concert locations before the concerts begin so you can grab a bite before jamming out. Feel like a part of the royal family while walking through Highland Park. You will find a Victorian-style fountain and other greenery in the gorgeous entry garden. Hike along the trails, relax by the lake and set up a picnic in the picnic areas to enjoy a lovely summer day. 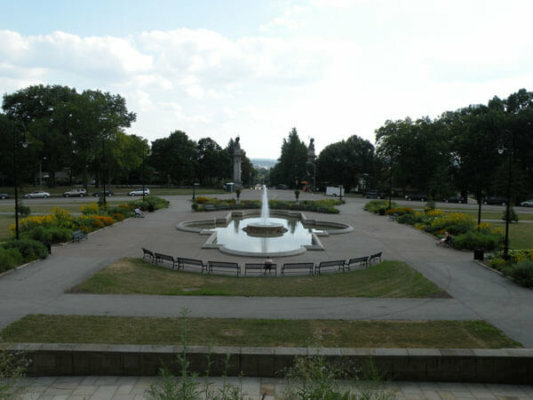 You will also find the Pittsburgh Zoo and PPG Aquarium in this park. If you get hungry while strolling through the park, take a short walk to a variety of dining options close by including Thai and Italian restaurants, as well as cafés. 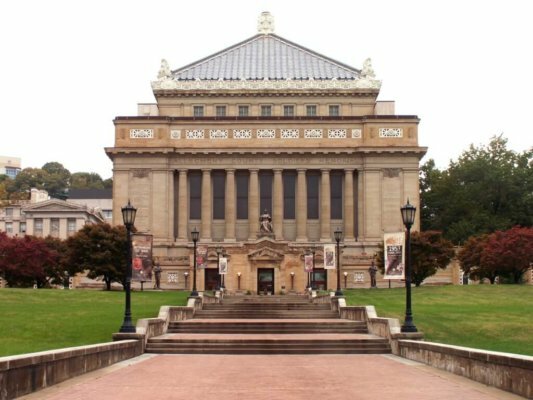 Go back in time at the Soldiers and Sailors Memorial Hall and Museum. The memorial and museum dedicate their space to military personnel, regardless of branch, status, era or conflict. The museum hopes to preserve a tribute to men and women who served the country. In the museum, you walk through a timeline of displays that date back to the Civil War and stretch to more recent conflicts in Iraq and Afghanistan to learn about the people who served during these times. 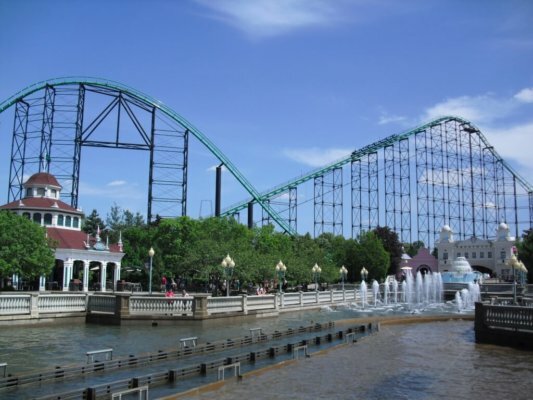 If you want to experience the thrill of an amusement park in Pittsburgh, consider visiting Kennywood. Whether you prefer wooden or steel roller coasters, you will definitely enjoy the rides at this park. “It’s not officially summer until you’ve had their Potato Patch Fries,” Point Park University alumna Jamie Meyers said. “Also, this is Kennywood’s 120th season. They have so many special events and celebrations planned that I can’t wait to join in on the festivities (and the Potato Patch fries).” Visit Kennywood for a fun and crazy escape from the city. Whether you visit Pittsburgh in the summer or the winter, check out PPG Place for a seasonal experience. In the winter, show off your ice skating skills at the ice skating rink in the plaza. In the summer, the plaza displays a unique water feature. 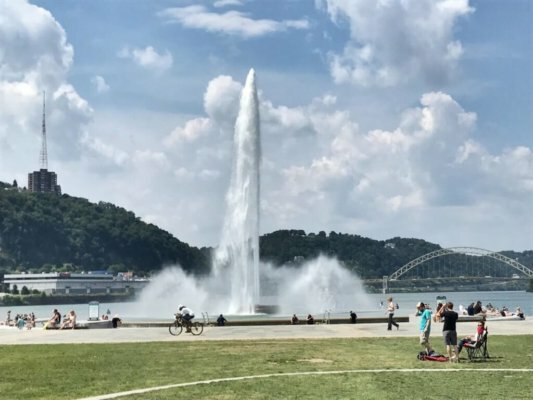 “One of the most fun things to do in the city on a nice hot summer day is visiting the water fountain at PPG,” Ohio State University junior and Pittsburgh native Tori Lorenz said. “My family and I love to make a day of it, where we’ll hop on our bikes, get lunch next door at Market Square and play in the fountains. 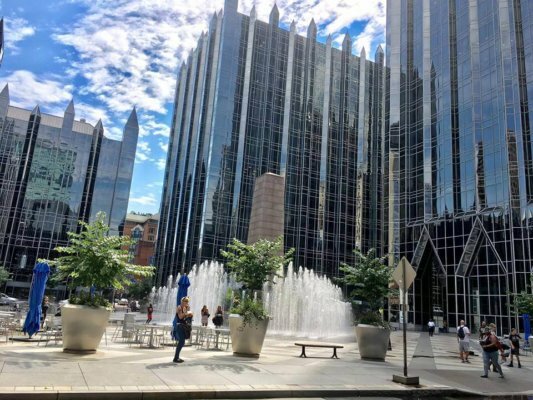 The fountains are a fun hidden gem between the busy workplace in downtown Pittsburgh.” Enjoy the hustle and bustle of the city while relaxing by the water feature. If you want to get out of the city center, take a trip to North Park. 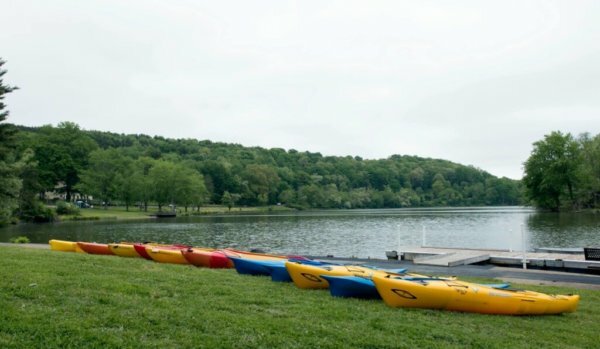 Although you will journey about 14 miles outside of downtown Pittsburgh to find North Park, the trip will lead you to a serene park where you can partake in activities such as kayaking, canoeing, paddleboarding and other outdoor activities. Hike and bike on the peaceful trails found in the park. Check out all the attractions offered at North Park for a fun outdoor experience. Named for when workers used to strip metal for railroads, the Strip District sits in downtown Pittsburgh. Here, you’ll find culturally diverse shops and restaurants. Browse at a fun outdoor market here every Saturday. “The Strip District is also referred to as the Cultural District because of all the locally owned shops,” Pitt senior Liz Allen said. “I love walking through this area when I have a free afternoon. You can find anything from an Asian market, a Thai restaurant, an Indian spices market and the large Italian grocer that has the best pasta and produce.” Check out all of the artisan shops and markets for some really cool hand-made art that you won’t find anywhere else. And if you want some of the best food in Pittsburgh, skip on over to Gaucho Parrilla Argentina—Allen highly recommends it. 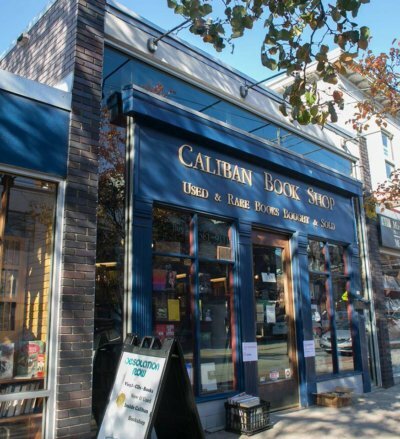 Browse the shelves of Caliban Book Shop to find your next favorite read. The store buys, sells and appraises books, autographs, photographs and other printed media. They carry books of all different genres. In addition to the book shop, you can also find Desolation Row at this storefront, a record store specializing in indie rock, sixties pop, funk and more. You can find the store’s warehouse about five miles from the store, which contains over 150,000 books. You can visit this location by making an appointment, and you might find some pretty cool books to add to your collection. When in Pittsburgh, prepare to channel your inner hiker or biker because of all the amazing parks. 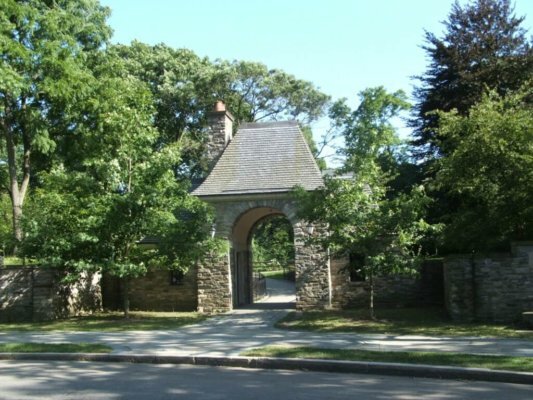 The list of awesome parks includes Frick Park, the largest of Pittsburgh’s historic regional parks at 644 acres. Explore the park by hiking or biking on one of the extensive number of trails. Escape all the crazy happenings of the city at Frick Park. “Frick Park I don’t know much about other than the fact that it’s where Mac Miller grew up and would always go,” Charamella said. “Then I went to Frick Park Market, which is the local deli. He recorded a music video there and has a song called Frick Park Market. Got a good sandwich from there, too.” If you like Mac Miller and good sandwiches, add Frick Park to your list of sites to see in Pittsburgh. Sometimes you need that classic diner comfort food when visiting a new place. If you find yourself craving a good old-fashioned diner breakfast, visit Pamela’s Diner. Visit one of the five locations in Pittsburgh for an excellent diner experience. Their menu includes many breakfast options such as eggs, omelets, hotcakes and breakfast sandwiches. 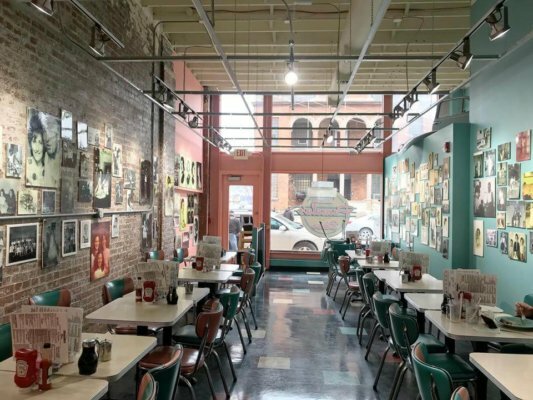 “My husband and I always suggest stopping at Pamela’s Diner whenever we have friends or family visiting,” said Rutgers University alumna and Pittsburgh native Natalie Meyers. “They have the most amazing breakfast/brunch in Pittsburgh. We always go to the original location in the Strip District and typically make a whole morning out of the visit. Here’s a beginner’s tip: they only accept cash, so make sure you hit the ATM before you go.” Start off your day in Pittsburgh the right way with a delicious breakfast from Pamela’s. Looking for a place to take a lovely morning stroll? Check out North Shore Riverfront Park. 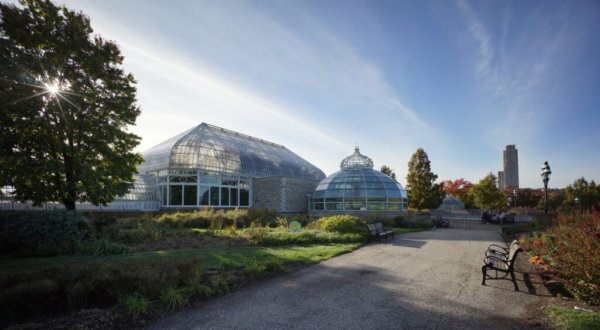 About a mile in length, the park stretches along the Allegheny and Ohio Rivers from the Carnegie Science Museum to the Three Sisters Bridges. Go on one of the hiking or biking trails to experience the waterfront of the city. You will also find unobstructed views of the cityscape here. 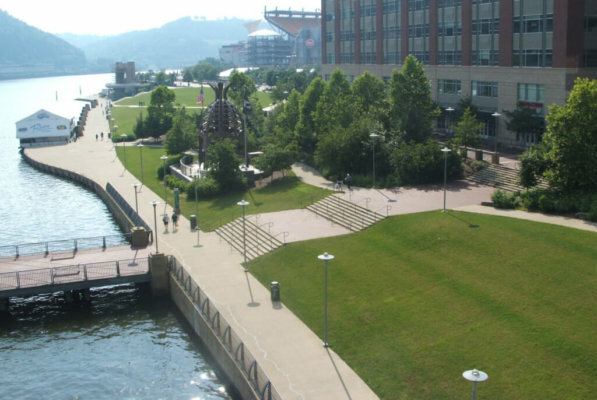 Relax along the river in the large grassy areas and enjoy the view of Pittsburgh. 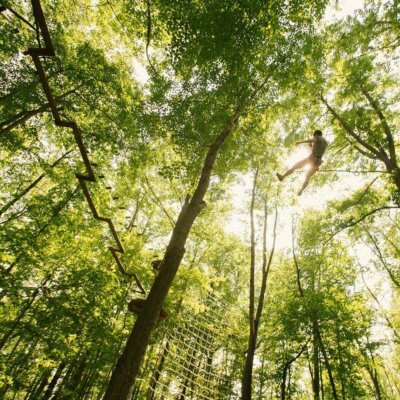 Conquer the forest and hang out in the trees at Go Ape. Go zip lining and take on obstacle courses for a fun and unique outdoor adventure in Pittsburgh. Enjoy gorgeous views all the while. Go Ape costs about $50, but we think you can handle it. “GoApe was definitely worth the price you pay. I brought my French exchange student to Go Ape for an afternoon adventure,” Temple senior and Pittsburgh native Roslyn Mizgorksi said. “We spent over three hours up in the trees going through obstacle courses and zip lining. It was a great way for the two of us to bond.” Channel your inner Tarzan and spend a day in the trees at Go Ape. Movies outside on a warm summer night? Nothing sounds better than that. 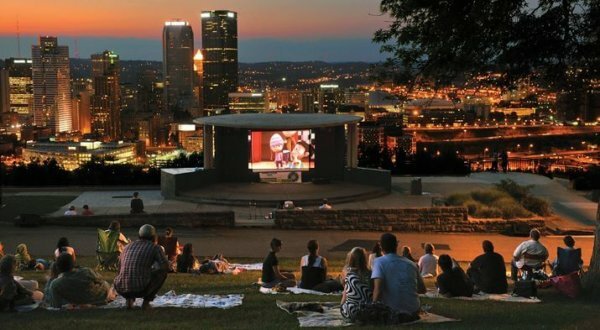 With Cinema in the Park, you can watch movies for free in many of the parks around Pittsburgh over the summer. The screenings feature a variety of movies ranging from PG to PG-13, so you decide what genre of movie you want to watch. In Schenley Park, one of the locations, if you choose to arrive at the event early, catch live performances by bands for some tunes before the movie begins.